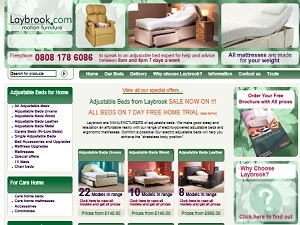 Special offers at Coopers of Stortford can change daily, check here to find the latest ones. Save 25% on all products in our 25% off Heating offers. Go to https://www.coopersofstortford.co.uk/store-star-buys/ and enter the code to get from 20% to 50% off this selection of products. Go to https://www.coopersofstortford.co.uk/store-star-buys/ and enter the code to get from 25% to 38% off this selection of products. Voucher code IAW9A2 gives £5 off orders over £25. Code valid for online use only and excludes delivery. Valid from Tuesday 22nd January 2018 until Thursday 31st January 2019. 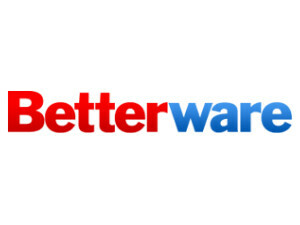 Voucher code IAW8H4 gives £5 off when spending over £25. Valid online only. Excludes delivery. Code valid from Tuesday 11th December 2018 to Tuesday 18th December 2018. 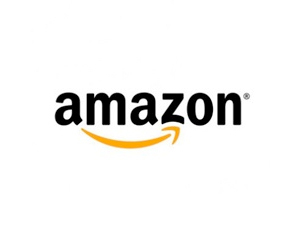 Affiliate Exclusive Free Standard Delivery! Get solar lights, a garden tool set, clip on magnifiers, a bum bag and a digital radio at a significantly reduced price when you spend over £30 on site. Get this star store buy for just £14.99. This allows you to easily pick up ash from the fireplace without the need for a dustpan and brush. 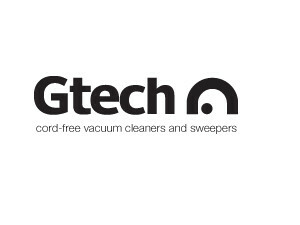 The attachment works on any vacuum and enables you to clean your fireplace with no mess! The Big Drippa Watering Kit has now been reduced from £12.99 to just £8.99. Save £4! This watering system is easy to instal and can drip water your greenhouse plants without the need to be connected to the main water supply. Buy this portable stainless steel Compact Mini Fryer for as low as £14.99. An ideal gift for your love ones this season. You can have this traditional Self Basting Large Roaster for as low as £14.99 and you'll also get a Medium Roaster for FREE. End the inconvenience of wiping the fog off all the time with this No-Fog mitt. Wipe it on your windshield or windows and say goodbye to the fog for days. Now available for only £6.99 and avail the buy 1 get 1 free promo. Lasts for 5 hours made with 36 LED diodes with 100,000 continuous hours burn time. Cordless and easy to charge to any 3-pin socket. Now on sale for only £9.99! Programmable tea maker that is very user-friendly. Suitable on your bedside which will definitely prepare your hot tea when you wake up! Make up to 3 cups with one year guarantee. Now on sale for 20% less! Perfect lighting to prevent unwanted visitors from your home. It can also light the way with minimal consumption of electricity. Mountable vertically or horizontally and detects motions up to 3m. Keep your home warm and cosy this winter with this buy one get one free offer on halogen heaters. Valid until 17/12 only. This amazing soup maker allows you to throw in the ingredients and with a touch of a button, your soup will be cooked and blended in no time at all. A great way to enjoy vegetables this winter - and a star gift! Find your way in the dark with this motion sensor light that will light your path when you walk past. Triple the size of your wheelbarrow with this booster bag and save yourself time and energy in the garden. Look out for the Black Friday marked products on the site as for today only, you can save an extra 10% on those items. Shop now and don’t miss out on great deals this Black Friday. Don’t get caught in the wind and rain again - these windproof umbrellas will protect you from any weather and won’t have you flying away like Mary Poppins. With many top Christmas gifts now reduced by a further 10%, get all of your Christmas gifts at Coopers of Stortford today. Grind your pepper and salt at the touch of a button with this stylish salt and pepper grinder, and now you can get two for the price of one. These slim wallets will protect your cards and keep them safe - and now you can get 2 for the price of 1. This radiator is very energy efficient and can be fitted under windows, behind sofas or wherever you choose to keep you warm and toastie this winter. Save £10 on this halogen heater with adjustable heat settings - plus get one free! With 20 bright LED lights that are virtually indestructible, this high intensity light is perfect for reading. This air fryer lets you cook your food safely and quickly compared to traditional air fryers. It features a compact body, 3D Cooking Technology, non-stick removable bowl, and insulated body. This water boiler is convenient and safer to use compared to a traditional kettle. It features a water tank (with removable water filter), touchscreen LCD panel, 5-temperature setting, 3-automated volume dispenser setting, drip trays (with safety switch), and suction cups. Clean almost everything with this easy to use bubble washer. Just 2 easy steps to generate up to 40Psi cleaning pressure, just fill and pump! No electricity or batteries needed to use this amazing washer. If you are having a hard time kneeling and getting back up when gardening? This is the perfect garden tool for you! It is made with polypropylene foam for your knees and arms made from steel to help you from getting back up easily! Designed with 3 safety rails with 4 large treads made from strong tubular steel to provide maximum safety! Very safe and easy to use. The most absorbent, easy to use mop ever made! The bucket has been designed with a foot pump for easy spinning to remove the mop's excess water in just a few seconds. Includes 2 microfibre heads that are easily replaceable. The healthy way to cook your food using your microwave! Made with Polymer coated skillet to achieve ultra high temperatures for browning meats or even crisp pastries. The dishwasher safe with buttermilk finishing set includes 3 frying pans in different sizes and a wok! Made from carbon steel which can be used on gas or electric hobs. A free splatter guard will be given for free when you buy the pan set. Get rid of the wiring hassles and running costs! Designed with 12 LED bright white bulbs with PIR motion sensor that detects visitors from up to 10m away. Clean, massage and exfoliate your feet with no worries! Made with over 1000 bristles with pumice stone for rough and cracked heels. Save 10% on first orders over £30. Valid until 31st July 2013. Minifridge.co.uk - Discount Code - Save 5% discount all orders at minifridge.co.uk until further notice. Apply Code: SAVE5 at checkout. 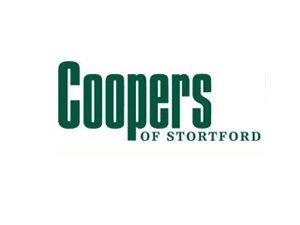 Coopers of Stortford is a company that is well-known for its wide ranges of products presented at excellent prices. The store is favourite to many customers because it is a place where they can quickly find everything they need without wasting any of their valuable time. 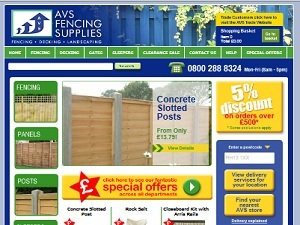 At CoopersofStortford.co.uk you will find cleaning products, pest control solutions, window coverings, bathroom essentials, torches, tools, mats, batteries, laundry products, gardening equipment, lighting, bird care products, garden furniture, kitchen appliances, cookware, tableware, gadgets, home appliances, doorbells, pet supplies, travel essentials, binoculars, health and beauty products, men’s and women’s clothing and footwear and much, much more. The company is dedicated to catering to the needs of people with all kinds of tastes and budgets which is why they offer wide ranges of everything and always have deals and special offers available. The team is also known for their true care and excellent customer service because they are always nearby to help you with anything you need. Coopers of Stortford are probably most well known for their large collection of useful housewares. Their range includes everything you could possibly need for the home, and many things you probably did not even know you needed until you discovered them on the coopersofstortford.co.uk website. In the housewares section you will find cleaning products, ladders, plumbing products, bathroom items, mats, torches, DIY products and tools, batteries, window and door coverings, and pest control products. Many of the products are labour saving devices that can help you to maintain your home without all the effort that this would normally involve. There are items to make the home look pretty, such as the Deluxe Jacquard Kitchen Rugs which come in 3 designs; or items that are simply useful, such as the cordless rechargeable LED light. Look out for the great savings available, such as the suction safety handles which come with a Buy One and Get One Free special offer (at time of writing). 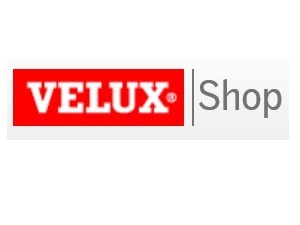 There are other massive reductions available - just look out for the Great Savings symbol. 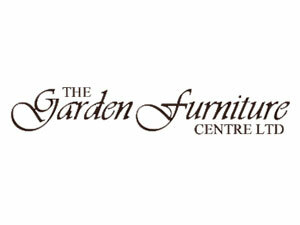 The next most popular category of products in the Coopers of Stortford catalogue are their garden products. Again, some of these are practical, and some are to enhance the aesthetic appeal of your garden. All are great value for money, and excellent quality. The different categories of garden products inlude power tools, furniture and awnings, lawn care products, party products, outdoor lighting, watering products, features, pest control and bird care. One of the best sellers is the Artificial Pansy Hanging Garden. Once you reach a certain age, looking after the garden can start to become more of a chore, but if you love flowers, this product is an effortless way of making your garden look pretty. If you are interested in doing the gardening yourself, then there are plenty of products to help you with this task, including planters, plant pot trolleys - to help you move the plants around, and kneeling cushions. Other brands featured in the garden section of the website include Hanoptik, Pest Reach, Victor Garden Tools and Mrs Coopers Best. You can find everything that you need for cooking in the Cookshop. Not only does this include utensils, but also appliances such as the best selling Soup Maker, the new Instant Water Boiler, and the handy Omelette Maker. There are also some fantastic space saving ideas, such as the Slide Out Storage Tower, and loads of other really useful items. You can even find a Mini Kitchen, which sits on the counter top and includes a 28L over as well as two hobs - perfect for small spaces. Keep your knives sharp with the Coopers Manual Knife Sharpener, and this will save you having to struggle to cut your vegetables with blunt blades. If you are entertaining, then the Buffer Server Plate Warmer may be the way to go, as it will keep your vegetables and meat warm while you prepare the remaining items, or while you serve your first course. There are many other appliances that will help you to effortlessly produce tasty meals. Another favourite is the Perfect Pie Maker. All you need to do is pop in the pastry - which can be bought ready from the shop, so you don’t even need to make this, then put in the filling of your choice, seal with your pastry lid, and the Pie Maker will do the rest. It’s a great way to impress without actually going to any effort. In the Home section, you will find many of the products that you find in the Housewares section, admittedly, but there are additional items for the home in this category. Among these, are lighting products, clocks and barometers, real fires, dehumidifiers, cooling and heating products - such as fans, telecom products and doorbells. One of the popular products among Coopers of Stortford customers is the Mini Table. This fantastic product allows you to eat your meal from the comfort of your favourite chair or sofa seat, so you can eat in front of the TV, and you don’t have to sit at an uncomfortable dining table. At the time of writing, this particular product is also on a Buy One and Get One Free special offer, and with such good customer reviews is well worth a look. In the Real Fires section, you can find everything you need to maintain your real fire, including an Automatic Ash Cleaner, Log Rack, and even a Log Splitter. Don’t be too disappointed to not actually find any real fires themselves for sale. Many of the Coopers of Stortford customers are looking for products that will help make life a little easier for them. You can find many labour saving devices in the other categories, but the Health category focusses on what you may need for your health and comfort within the home. These include mobility products, joint supports, hearing aids, vision aids, and exercise products. One popular product is the Daylight Energy Saving Lamp, which allows you to read into the night without straining your eyes. It receives great reviews, and is ideal for those who want to keep their mind healthy and active. Also, you can find reading glasses, as well as clip on magnifiers, free standing magnifying LED lamps and binoculars - all of which are great for people who need a little help with their eye sight. The exercise products include total body exercisers that you can use from a sitting position; mini walkers that again can be used from a sitting position, but will keep you active; and exercise bikes. The leisure section of the website includes things like windproof umbrellas, aluminium wallets and furniture protectors. You can also find items for your hobbies, including art sets, craft tool sets, bridge tables, and a handheld Quick Hem tool. You can even find a sledge if you are so inclined! One thing that makes Coopers of Stortford such great value for money over its competitors, are its deals. You can very often find voucher codes listed here, and they make it very easy for you to spot the deal on their website. Look out for the Buy One and Get One Free stickers on the products, the Great Savings stickers, and all of the reductions in the Clearance section too. Coopers of Stortford is a family owned company, providing a large selection of new and practical items for the garden, home and kitchen. They are well-known for their high quality yet competitively priced products, and they have come to be one of the United Kingdom&apos;s top mail order businesses. 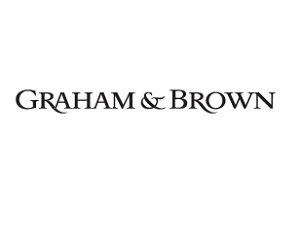 They own a large programme delivering millions of catalogues by mail to clients, and inserts in a wide range of newspapers and magazines, along with the main department store in Bishops Storford. 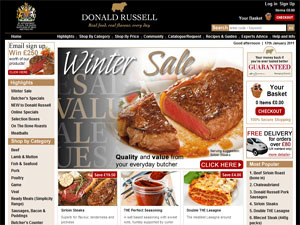 They have invested greatly in their website and online sales team since 2009. Their website has an extremely user friendly layout, a great search option, very clear and detailed item listing pages, FAQs, customer reviews and instructions. There are also a lot of multi-buy deals, special offers and seasonal discounts with the great 3 step check out, which makes it very easy to make a purchase. Free Standard Postage and Packaging on Orders Over £30. Enjoy free standard delivery when you spend over £15 on your order with this EXCLUSIVE voucher code from Coopers of Stortford. Valid until Sunday 7th December only. We have the best collection of Coopers of Stortford voucher codes, special offers and sales bargains that you will find online. 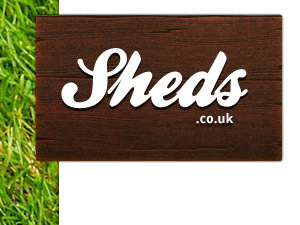 Save money at Coopers of Stortford by checking here with us first for active voucher codes.